Patrolman Edward Froedge was killed when his patrol wagon collided with a patrol car at the intersection of 4th Street and Triplett Street. He was pursuing a speeding vehicle when the collision occurred. He was trapped underneath the patrol wagon after being ejected from it as a result of the crash. Patrolman Froedge was a U.S. Navy veteran of WWII. He was survived by his wife, son, parents, and two brothers. 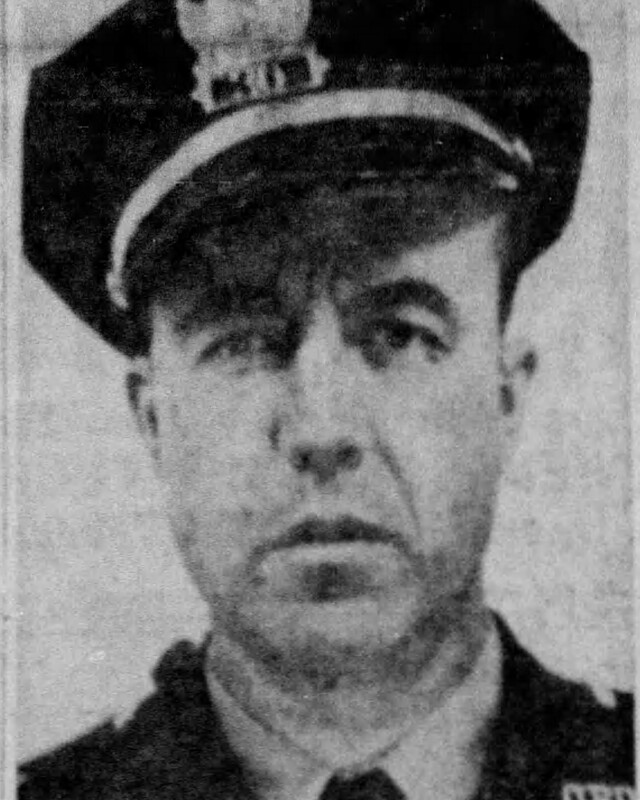 From Courier Journal archives: "Owensboro policeman was killed and another critically in-jured today when their patrol cars collided at an intersection. Rufus Edward Froedge, 35, was killed when his vehicle collided with a cruiser driven by Robert Carrico, 35. 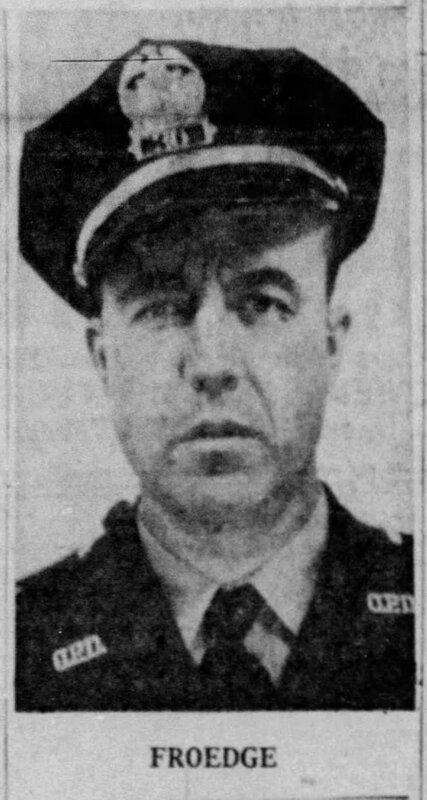 Froedge was pursuing a speeding car before the collision, Night Police Chief Stuart Lambert reported. All Owensboro police vehicles are one-man operations, Froedge is survived by his wife, Mrs. Gay Froedge; a son, Bobby Froedge; his parents, Mr. and Mrs. Charles Froedge, "